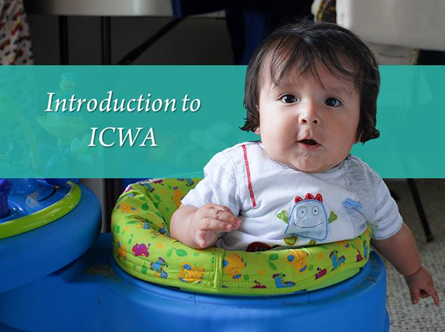 National Indian Child Welfare Association (NICWA) has released a new online Introduction to ICWA course. It features the basics of ICWA, including the Bureau of Indian Affairs’ guidelines published December 12, 2016. The course uses an interactive platform designed to keep the learner engaged through teachings on the basics provisions of ICWA, case scenarios for application, and a comprehensive course assessment. Completion of the course results in a print-ready certificate, including 4.5 Continuing Education Units accredited by the National Association of Social Workers. Learn more and register at the NICWA website. This entry was posted in Trainings and tagged NICWA. Bookmark the permalink.